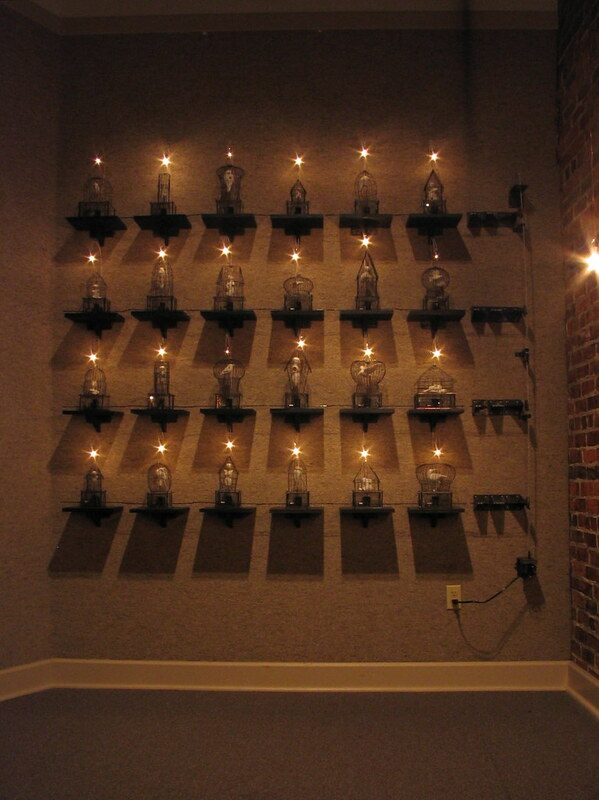 Mechanical Lamentation is a series of twenty-four music boxes, each composed of a porcelain object within a wire cage sitting on top of a glass box. 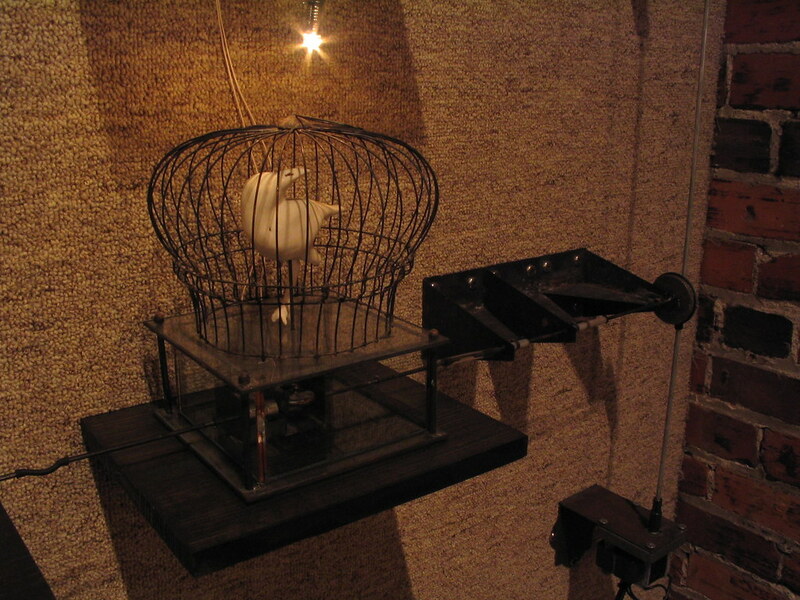 A mechanism that plays a single note and causes the porcelain object to turn is housed inside the box. The random playing of twenty-four notes is a lamentation, a song of steady mourning. 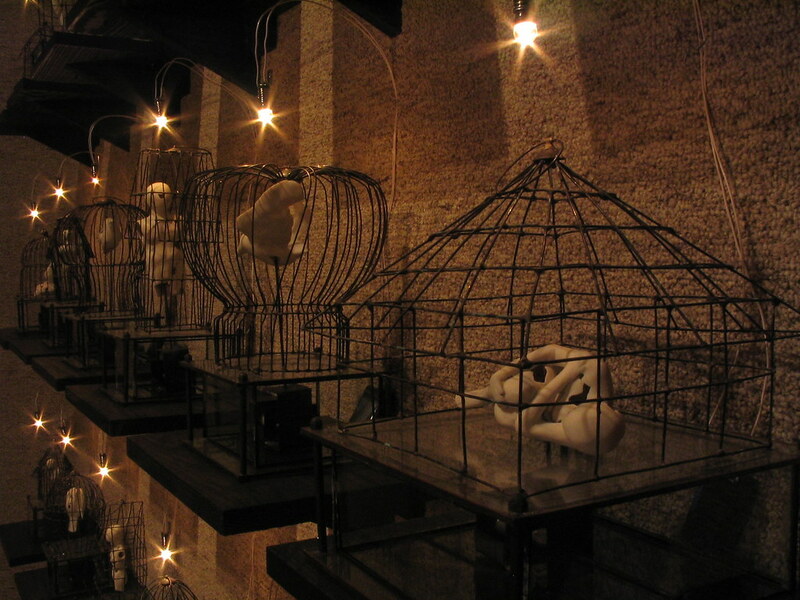 The porcelain objects are representations of human and bird figures. 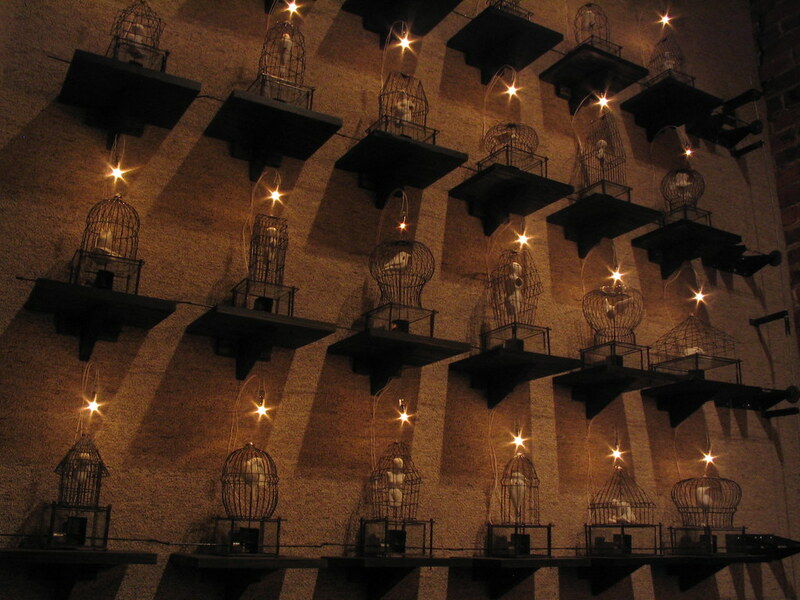 They appear worn down to a very thin shell showing the effect of the unrelenting song from which they cannot escape. Their lament is a perpetual and mechanical response. 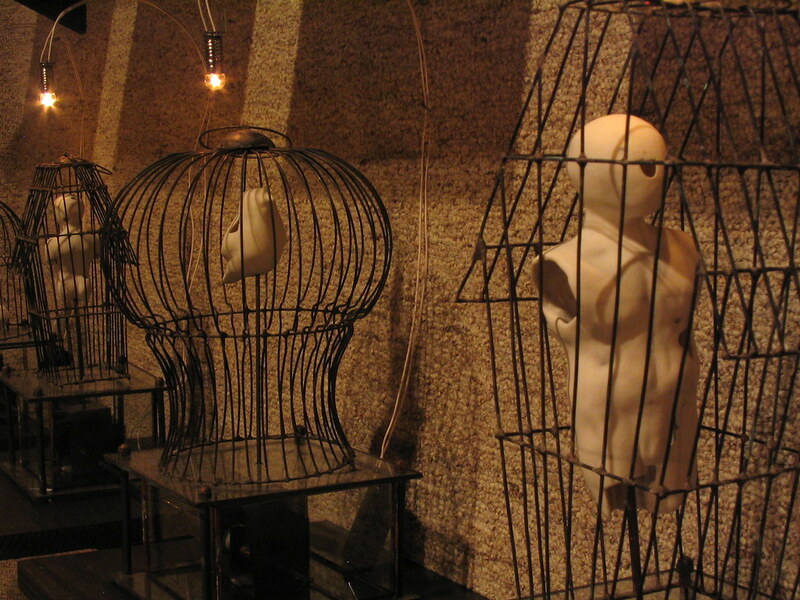 In the series of music boxes, the paradox of the cage symbolizes mourning. The realization of impermanence leaves us grasping for something that is unfaltering. As we mourn what we cannot let go of and get past, we are given a sense of comfort and familiarity. In a sense, mourning becomes a self-indulgent activity of holding onto what is lost.